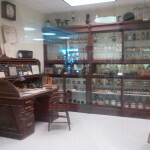 Museum room at The Feik School of Pharmacy at UIW. 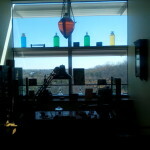 The scenery from The Feik School of Pharmacy at UIW. Last year when I volunteered at the Catholic Charities Wellness and Resource Fair, I met a lot of friendly UIW students from the other professional schools, but a pharmacy professor, Dr. Cynthia Nguyen, taught me something that has stuck with me ever since. Dr. Nguyen told me about Interprofessional Education and how it can change the face of healthcare for the better. 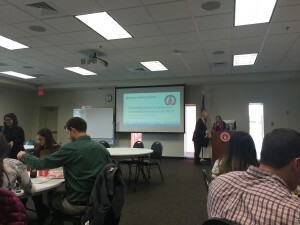 The World Health Organization describes Interprofessional Education (IPE) as when students from two or more professions learn about, from and with each other to enable effective collaboration and improve health outcomes. Efficient team work implies shared decision making and responsibilities, consensus on the ethical principles, constructive conflict management, and reflection of the role of each member within the team (Narayanan). 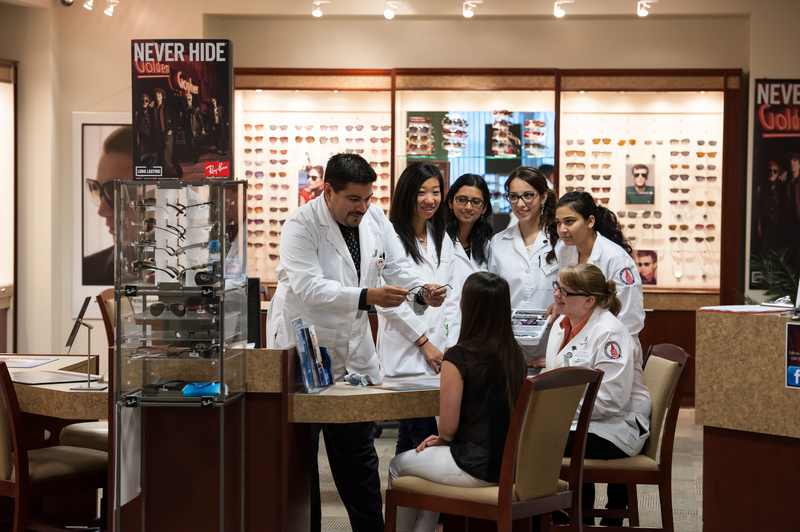 Only recently have I learned that the UIW Rosenberg School of Optometry is one of only a handful of optometry programs that integrate IPE into the academic and clinical experience. 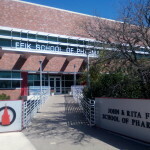 In addition to optometry, UIW has multiple health professional programs such as pharmacy, physical therapy (PT), and nursing. Each program has a solid curriculum, however the programs rarely interact. This is definitely changing. Dr. Cynthia Nguyen joined the Feik School of Pharmacy as the Interprofessional Education and Collaborative Practice (IPECP) Coordinator and Assistant Professor in the Department of Pharmacy Practice. She is currently working with other health disciplines at the University of the Incarnate Word to enhance an Interprofessional Education model and clinical site that allows students an opportunity to be a part of a patient-centered, multidisciplinary healthcare team. 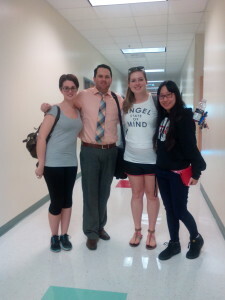 From left to right: Nicole Ghitea, Calvin Sanchez, Alissa Davenport, and Susan Ly. I too, believe that integrated professional education can lead to better integrated care and ultimately a better patient experience. So I volunteered to join the IPE group in the fall of 2014 and that has been one of my best experiences at UIW! The IPE group of 60 or so students would meet weekly on Wednesday at the Bowden Eye and Vision Care Clinic. Every IPE morning, the faculty would place 4-5 students from Pharmacy, Optometry, Physical Therapy, and Nursing into a team. Among our team, we would have a team meeting on communication and the plan for our upcoming patients. In addition to meeting with our IPE teams, the faculty would prepare lectures. 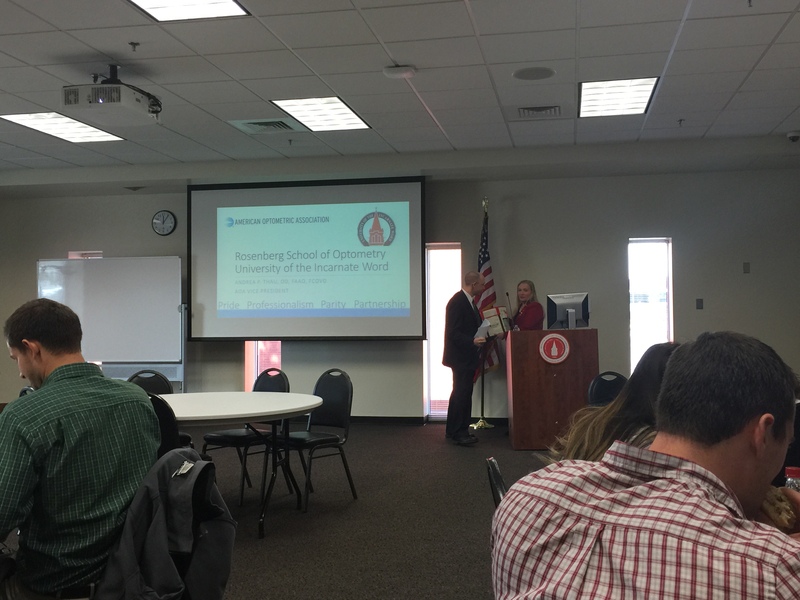 The topics of the lectures and meetings were about how IPE works in caring for chronic illnesses, such as diabetes. Currently, type 2 diabetes is the 7th leading cause of death in the United States, affecting 29.1 million people (9.3% of the population). The prevalence of diabetes is expected to continue to rise in American adults, dubbing it as the pandemic of the 21st century. Because diabetes is a chronic condition, having a team of providers as opposed to one provider can greatly improve health outcomes and compliance. We were assigned one patient per team. 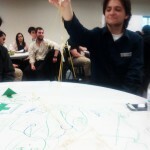 Each team traveled together so I was able to see what the other professionals did in an exam. What was once a big mystery is now clear to me. Everyone was awed by my eye exam because they did not know why the optometrist do what they did. Throughout the morning we explained to the patient and each other the importance of our procedures in monitoring diabetes. It was such a great learning experience. I especially like to listen to how the other professional students spoke with the patient, the questions that they ask, and the language that was used; I reflected on how I could reword my questions during case histories for a better patient experience. 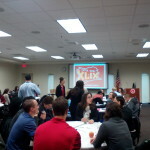 The IPE program is generating much interest at UIW. 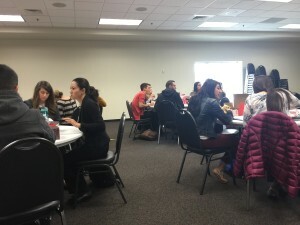 Students from the different health professional schools are currently working on a constitution to form an interprofessional student group with a mission to optimize health care. Calvin Sanchez, a second year pharmacy student at UIW, invited two nursing students Nicole Ghitea and Alissa Davenport, and myself to the first interprofessional executive board meeting. 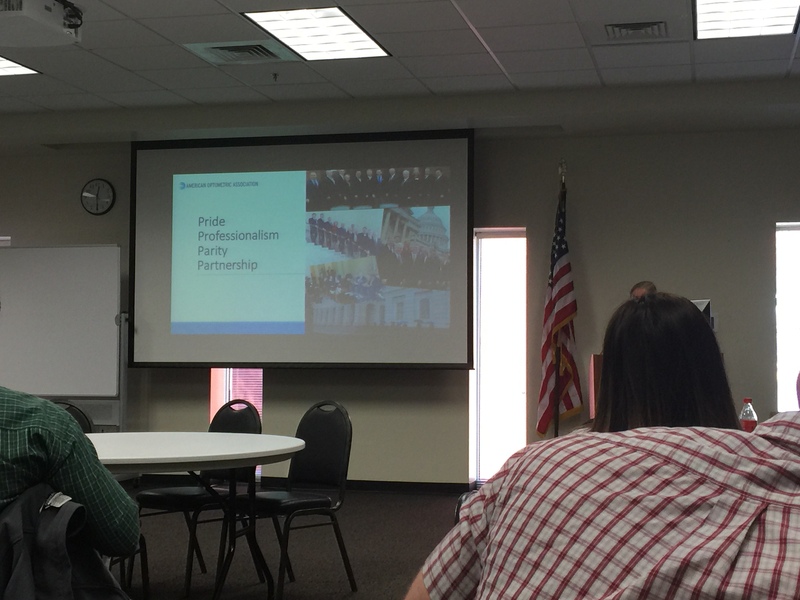 Since then Danielle Kimbrough, a Physical Therapy student, has joined and we have communicated via email and met on Google hangouts to talk about the plans for this student group. This is all very exciting and I’m glad that I had the opportunity at UIW to meet such amazing people! 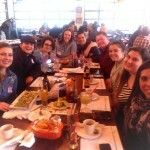 One of our plans was to meet at a restaurant for a meet and greet! 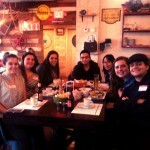 Over 20 students and faculty came out to the mixer in the seafood resturant, Ceviche 210. 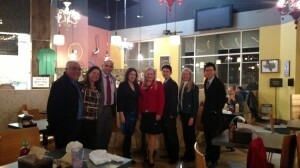 I enjoyed a delicious fish taco and enjoyed a pleasant afternoon with my new UIW friends! 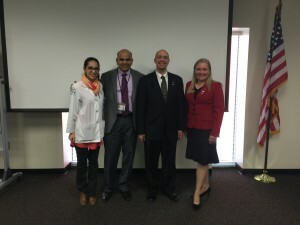 Narayanan, Srihari, Timothy Wingert, and Patricia Sanchez-Diaz. “Interprofessional Education Challenges With Implementation In An Optometric Curriculum.” Interprofessional Education Challenges With Implementation In An Optometric Curriculum. American Academy of Optometry, 2012. Web. 12 Feb. 2015. Author Susan LyPosted on March 30, 2015 Categories Susan LyTags blog, collaborative, Feik School of Pharmacy, integrative medicine, interprofessional, Interprofessional Education and Collaborative Practice, ipe, IPECP, nursing, Optometric education, Optometry, optometry school, Rosenberg School of Optometry, RSO, San Antonio, student, susan ly, UIW, uiw nursing, UIWRSO, university of the incarnate word rosenberg school of optometryLeave a comment on What is Interprofessional Education? 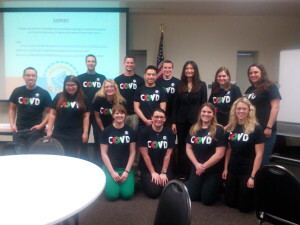 The College of Optometrists in Vision Development (COVD) club at UIWRSO hosted the Annual Tour de Optometry and Residency Forum. COVD created the Tour de Optometry to educate and excite optometry students about behavioral and developmental vision and vision therapy. 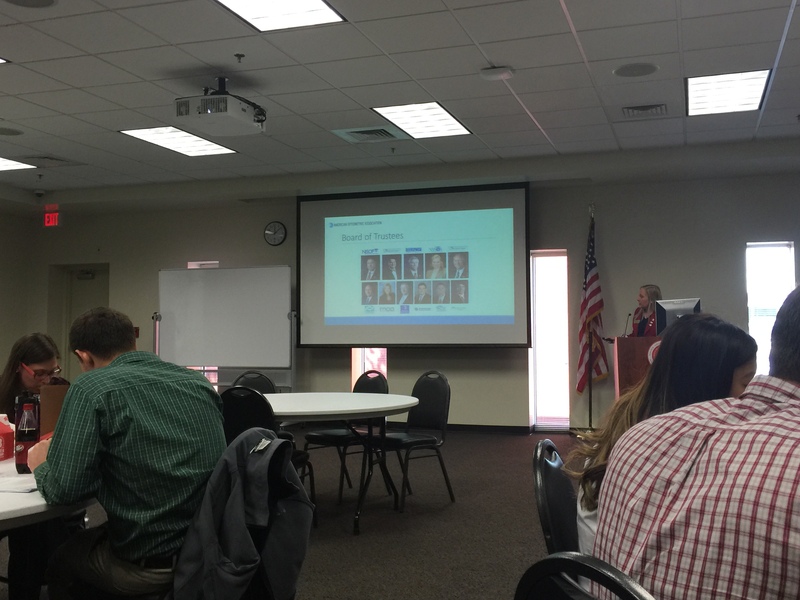 The COVD Board of Directors and some Past Presidents visit each of the schools of optometry, and the attending Board Member works with the COVD Faculty, Resident, and Student Liaisons to coordinate the Tour visit. 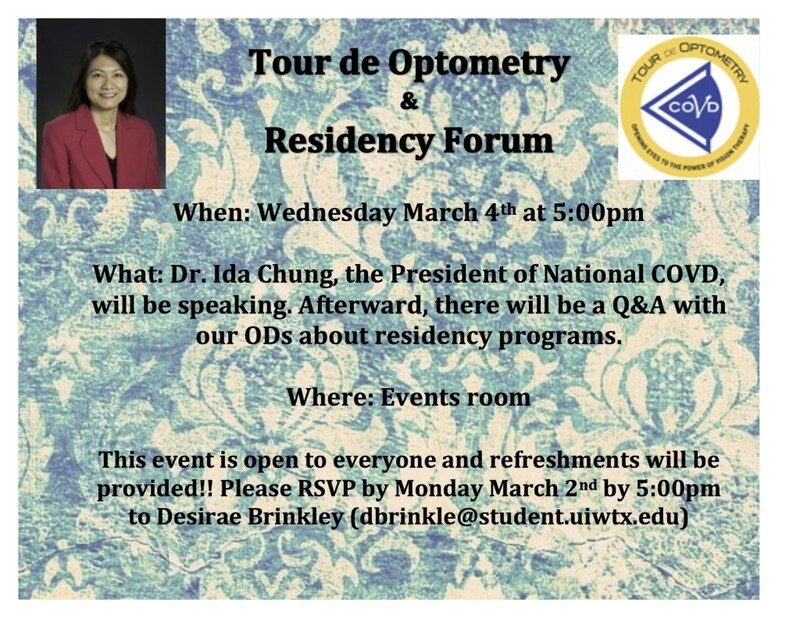 This year the ​National COVD’s President Dr. Ida Chung visited RSO on Wednesday March 4th to talk about her practice and how vision therapy (VT) impacted her patients. She was also glad to see her past students who are now teaching vision therapy at RSO. Dr. Maki was a student of Dr. Chung before coming to RSO as a faculty member. Following Dr. Chung, the club held a Residency Q&A with RSO faculty, Drs. Coates, Maki, Tison, and Nicklas. 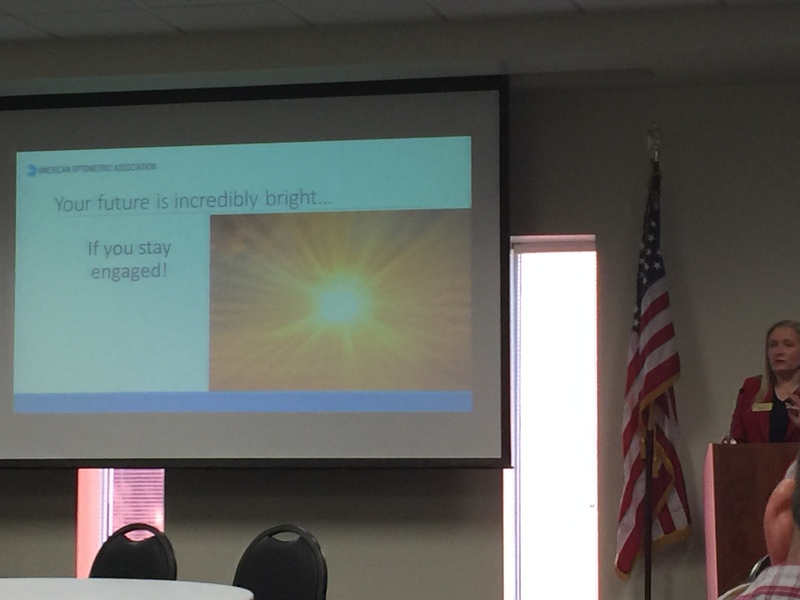 The students asked a lot of questions about how to get more involved with VT after graduation and why the faculty decided to pursue this path in optometry. I had a great time listening to the speakers and enjoyed some zesty Olive Garden at the same time. 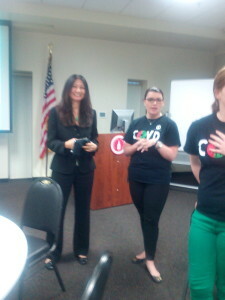 From left to right: Dr. Chung, guest speaker and COVD President, Desirae Brinkley, COVD RSO Student President. Student members who wore their shirts for the event! My experience in transitioning from undergrad to first year was fairly easy, but not without challenges and an adjustment period. First, I should provide some background of what kind of school I came from. I am from El Paso, Texas and attended UTEP for my undergrad. I earned a Bachelor’s in Biology with a focus in biomedical sciences. I tell this to every person I meet and I stand behind it: I never really studied intensely in undergrad. This is not to say my college was not difficult; my high school prepared me very well for college level work, so most of it just stuck to me the first time I heard or saw it. That being said, optometry school was a 180 turn for me and I entered knowing that I had to study. As a student in professional school program, I realize that the material I am learning is not something to memorize once for a test and forget about. We are learning to take care of people, and that weighs heavy in my mind. Needless to say, it was very easy for me to get back into studying, even being a year out of school. I think anyone can develop and enhance their study skills if they are committed to it. As a new student, I found orientation was a great way to meet my fellow classmates. I was scared that everyone would be sizing me up in terms of my OAT scores, grades, or where I came from. This was not the case at all. The student academic services make it easy to transition when it comes to orientation, financial aid, and forms you need to turn in before school begins. UIWRSO also has a “Big Sib, Lil Sib” program which I will write about in a future blog! 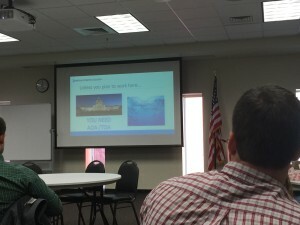 Basically, the program assists you in connecting with an upper-class student who helps show you the ropes and is there if you need support. UIWRSO helps with tutoring, so if you find yourself struggling, they are always there to help with one-on-one or group tutoring as well. As a student, one of the biggest adjustments I had was in Optometry Lab. Before enrolling at UIWRSO, I was a “Nervous Nelly” about everything! 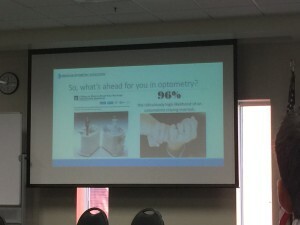 Now, in optometry school, I am accustomed to someone testing me on skills, watching my every move about a foot away from me! At first it was very uncomfortable, but now I am so used to it, I no longer feel so anxious. Another big transition was my finals were extremely difficult. It was a relief that after my first round of finals, I had a better idea of what to expect and have done well from there on out. Another question I am often asked is: how often did you study? I studied almost every day during first year, but definitely had time to have an outside life. I was able to go to Spurs games, go bowling, and even Six Flags here and there. After your first year, you do get the summer off if you decide not to apply and participate in the Summer Fellowship Training Program (focusing on research) they have here at UIWRSO. It was a great relaxation period for my classmates and I. I went home and spent time mountain biking, kayaking, and just plain hanging out and relaxing my brain finally! During my first year, all I heard from second years was how difficult second year was and how much work they had. To be honest, I thought they were over exaggerating, but I was extremely cautious about it as well. The best thing I have heard about the start of second year was that you “hit the ground running” and that’s exactly what we did. For upcoming second years, I would recommend just keeping your mind somewhat fresh on the topics you learned first year. Don’t let summer melt your brain completely! First, I had to adjust to having more classes and the difficulty of these classes is much harder. Don’t get me wrong though, they’re much more interesting as you are learning more about the eye and techniques used in clinic! UIWRSO still offers all the tutoring a student needs, however, so learning all the material well is definitely possible if you put in the work. Optometry lab is on another level, as well. The expectations are much higher of you in this lab, so time spent practicing after school is imperative. I am very appreciative of the availability and resources to assist in my after-hours practicing. These labs are preparing you for clinic in the following year, so it makes sense that we are constantly watched and being graded meticulously. Teaching assistants in “after hours” help any and all students who want the help. They give great tips and tricks that you otherwise might not learn from the professors. Again, one of the most popular questions I am asked: how often do you study this year? Well, I study every single day, and for many hours at a time. I enjoy my sleep, so I make sure I study effectively in order to sleep enough. Some people like to stay up until 3:00 am, but not study straight through, and that works for them. As I start to approach the end of my second year, I am very excited about our Clinical Induction Ceremony and starting my clinical rotations and seeing real patients in our clinics! All of the techniques and material we have learned in the last two years at UIWRSO will definitely be put to the test, but I am confident we will be extremely successful in the clinic. I will definitely keep you all updated as I continue my journey through optometry school! The AOA (American Optometric Association) is one of the most important organizations an optometrist can join in their lives. AOA advocates for the rights of optometrists throughout the country in their scope of practice, use of prescription drugs, etc. 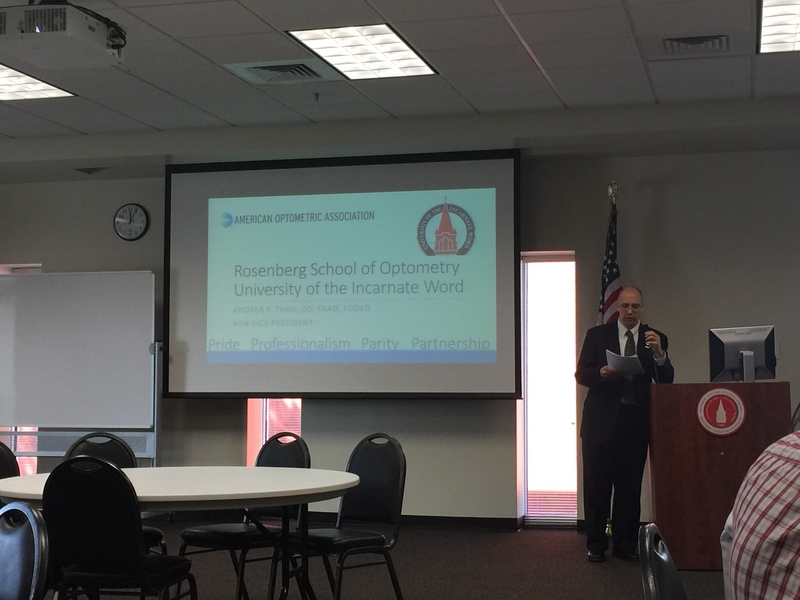 Many UIWRSO students participate in this organization through AOSA (American Optometric Student Association). 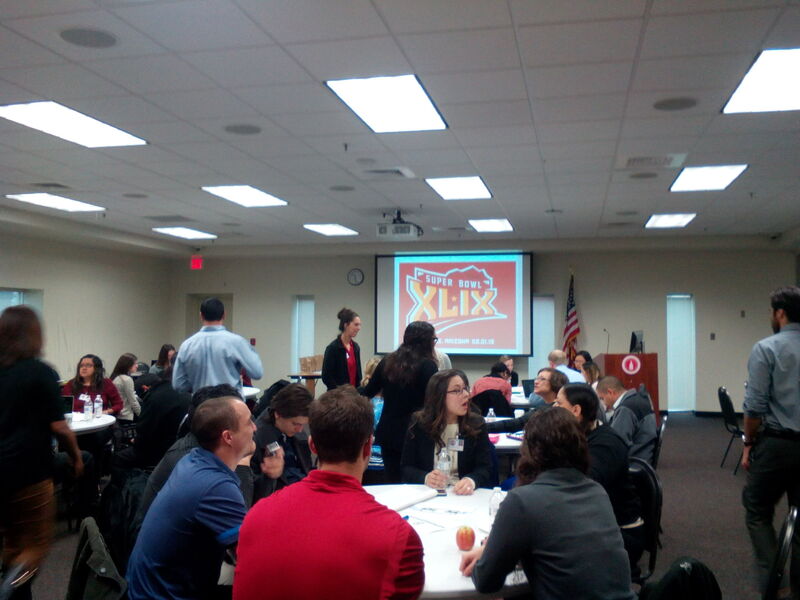 Here, students are able to see how important it is to get involved in the law aspect of optometry. Our school’s AOSA chapter was able to hold a special presentation with one of the top officers for the AOA, Dr. Andrea Thau. Dr. Andrea Thau was elected to the Board of Trustees of AOA in 2007. She currently has a practice and is an associate clinical professor at SUNY State College of Optometry. She is a founder of the AOA’s InfantSEE program and has served as the first woman president of the New York State Optometric Association, the New York Academy of Optometry, and the Optometric Society of the City of New York. She has lectured and appeared on national TV, radio, and print, spreading word about eye and vision care. UIWRSO was privileged enough to hear what Dr. Thau had to say about the AOA and our involvement in the organization as upcoming optometrists. Dr. Thau emphasized that our future involvement in AOA is critical. 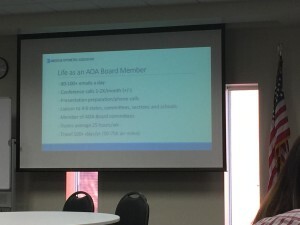 She owns a practice, has a family, but still manages to be a board member of AOA. 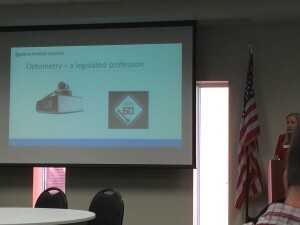 This involves hours and hours of time, travel, and presentations, not to mention being able to sit before Congress and fight for our rights as optometrists. She said that she is a second generation optometrist; her father really inspired her to love and fight for her profession. She gave us a idea of what it would be like without the AOA: the potential exists that we could lose all our rights to being called a doctor, other professions might be able to prescribe and undermine our work, online companies might be able to dispense without a prescription, etc. This would all spell out bad news for our future as optometrists. Other professionals are battling everyday to get the rights we have taken away and AOA is there to fight back. She also mentioned how AOA members work with politicians and support them to help get laws passed for optometrists. Using the TOA (Texas Optometric Association) or AOA will help future doctors if they have aspirations for holding office. She also talked about how doctors who are AOA members make an average of $22,000 more than those who aren’t members. This might have something to do with the fact that they help first-year doctors with malpractice insurance, life insurance, and even pay for your AOA fees during your first year out of school. 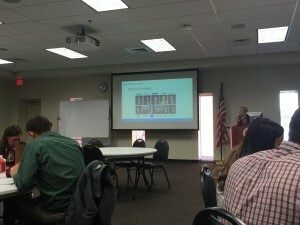 Additionally, Dr. Thau showed us a video clip of how many people AOA reaches a year through it’s use of media. 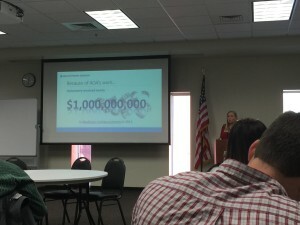 Before watching this presentation, I was not an AOSA member. 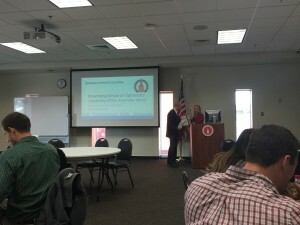 After attending the meeting, however, it has inspired me to not only become a member, but stay a member and perhaps run for the Board of Trustees at some point. Like Dr. Thau said, it’s not only our right, but it is our duty to continue the fight for optometry and the future optometrists of America. Black History Month is annually celebrated in February as a celebration of the many contributions made in the United States and around the world by those of African descent. 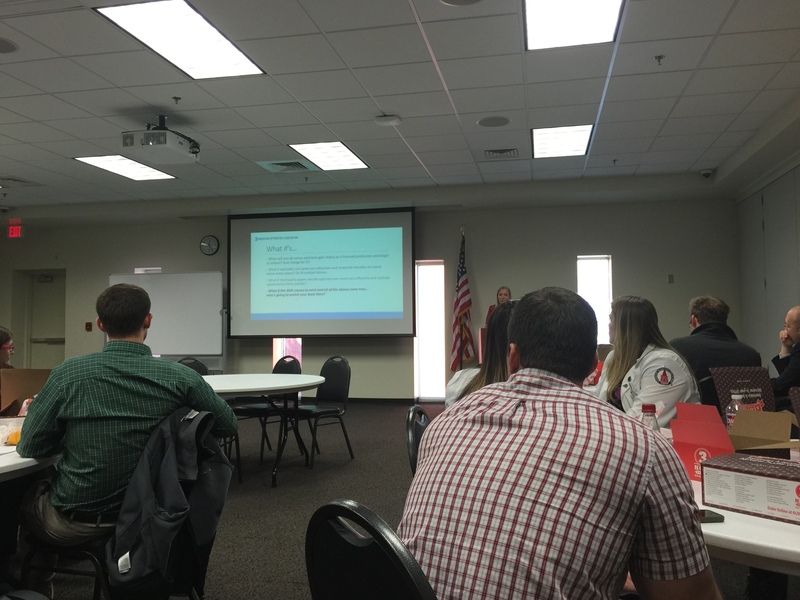 UIWRSO is a very diverse school and this may be why our National Optometric Student Association (NOSA) chapter is always so active. 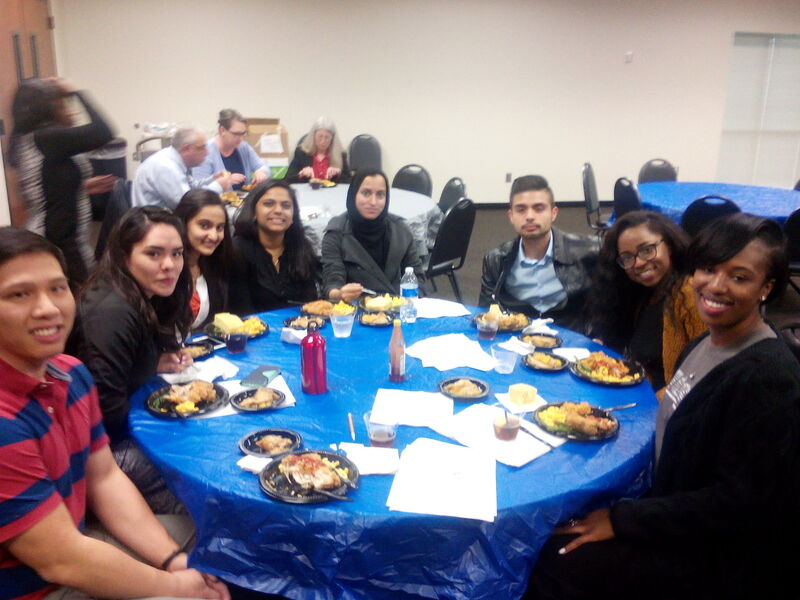 To continue tradition the RSO student chapter of NOSA hosted its 3rd annual Black History month celebration event. This year, the students invited a well-known guest speaker from the San Antonio area. He is the founder and CEO of one of the nation’s top education corporations, The National School Improvement Corporation (NSI) as well as an internationally-recognized motivational speaker, author, and training consultant for corporations, school districts, and organizations worldwide. Dr. Ron Kelley is a charismatic speaker that captured the audience’s breath. I have read about Dr. Martin Luther King Jr. many times, but I have never heard the story of his life before he became a civil rights activist. Dr. Kelley brought MLK’s story to life and it was very inspirational.